One of the most prolific American made clocks, New Haven Clock Company began manufacturing clocks in New Haven, CT in 1853. They were known for their high quality porcelain and case clocks. However they also made many wood case clocks and a few tall case clocks. All New Haven mantle and wall clocks are repaired in our national service center location. We receive shipments every day from around the world at our clock repair department. Please look at our shipping page for more details. 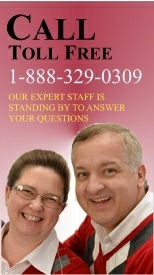 We have service technicians in the following areas who make house calls for your New Haven grandfather or floor clock. Many New Haven wall clocks are too large to easily transport, so we will make house calls for these as well. Since 1976, we have been in the clock repair business and have become one of the most respected clock restoration and repair companies in the northeastern United States.